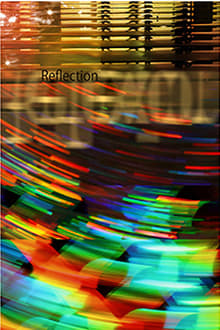 Reflection is an exploration of Montreal through an abstract lens. Director Sylvie Trouvé examines how reflected images pervade our surroundings, how our senses filter out these ghost images and, finally, how the camera can capture emotions created by a shimmering puddle or a sparkling coloured glass surface. At the same time, Trouvé raises a new awareness of our urban environment. The editing, which animator Theodore Ushev collaborated on in a spirit of mutual emulation, embraces an animation aesthetic that fully respects the filmmaker’s artistic vision. While examining our relationship with images, this exploration of the city blurs the distinction between real-life shots and animation. Indeed, though inspired by reality, the film is thoroughly immersed in the world of animation. We don't have any reviews for Réflexion. We don't have enough data to suggest any movies based on Réflexion. You can help by rating movies you've seen.